I love my washer and dryer combo. It is the first set of appliances I have ever owned. They are not new now, we bought them about 1992. However, they still look and work like I bought them yesterday. 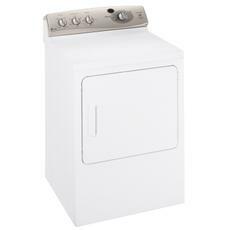 This is a “GE” product and a “Profile” set and the dryer has a sensor dry feature. The washer has an area to pour bleach so that it reaches the water with out getting to your clothing undiluted. I have fewer bleach spots and my whites last much longer with this wonderful innovation. It also has a removable cup to put liquid softener in. Then the softener goes into the wash tub at just the right time. This cup can be taken off to wash easily to keep from getting softener buildup. I never have to use dryer sheets if I don’t want to any more. What a savings that has been for me. My dryer is also complete with many fine features. It came with a rack that fits inside the dryer to set athletic shoes on for freshening. No more thump, thump, thump of shoes going around inside the tub. Actually, the dryer it-self is very quiet. You have to listen to see if it is still running. The lint trap is in front of the tub, hidden when the door is shut. The trap is very assessable and is easy to clean. It lifts right out and slips right back in easily. This dryer has many different heat settings. It makes it nice for drying delicate baby clothing or heavy towels and bedding. The dryer and the washer sit at the same level and when side by side they make a nice changing table, folding table or ironing board. They do not shift in use, so they are always aligned and look nice together. I had a day care in my home for several years. Children were always messing with the washer and dryer. They tried to start them without being able to because of the control panels. They are flat at the back of this set. Children can not turn knobs that are not there. What a safety device that has turned out to be. Many times I was happy with the control panel on this set. They are large capacity so I can do larger loads and get done faster. The washer is never to full and the dryer fluffs great. There is enough room for a load of towels or bed blankets and it does not over tax the motors.